“As a top 10 University, we should be doing more,” Conor said, referring to how societies are run. Having had experience at leadership roles in clubs at college and being heavily involved in sports at Lancaster, he discussed how he would prioritise inter-college competitions. “We don’t utilise it enough, if we look at York and other collegiate universities they run twenty-one different leagues” he noted, while also suggesting that this would also be relevant for academic activities, and that one-off events have been popular and that a full system of this would be attractive to students interested in non-sporting activities. He stressed that in spite of his sporting background (despite having only been a student since October, Conor competes in six university sports), he has a broad range interests and would be heavily involved in other university activities. When asked about what would set him apart from his fellow candidates, he stated that they come from specific backgrounds in regard to activities while his experience is broad and he has more knowledge about societies and how they operate. Conor emphasised this point again when asked about what he would bring to the organisation of the annual Roses event. He detailed prior experience of organising different sporting events at home, in particular for his local cricket club. While admitting he may have less experience of Roses being a first-year student, he said that he is “a very quick learner”. 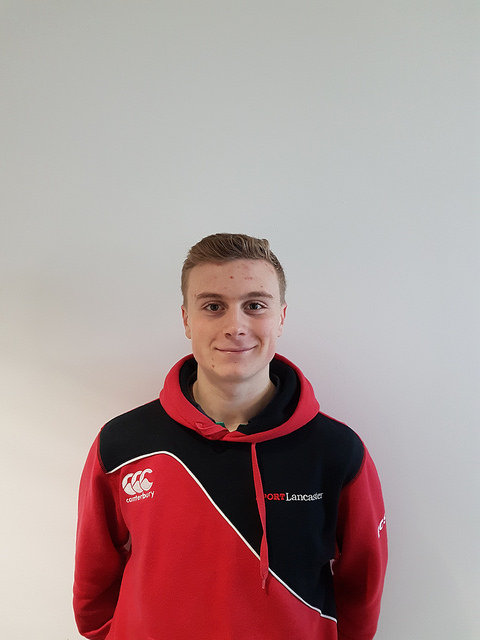 Conor came to the interview with an extensive amount of research compiled onto charts and data about university level sport; with charts made from the British Universities and Colleges Sport website. He said that Lancaster averaged from 39th to 49th for sports in the previous decade, and said he regretted that the university does not offer sport scholarships unlike other institutions such as York, Loughborough and Leeds. “Lots don’t even look at Lancaster, not because of the academics but because of the extra-curricular side.” This point is in keeping with one made in Conor’s manifesto, in which he suggests that potential applicants lose interest in Lancaster as a result of and that he would address this by lobbying for better facilities and a greater emphasis on college competition. Also detailed in his manifesto was a proposal for an online, virtual Freshers Fair that would allow students to look at and join societies all year round. Conor showed a distaste towards the current online page for societies and said, “I want the information on there to be better and to be presented in a more compatible format like videos.” He also wants to see a centralised timetable that would allow students to plan their free time activities more effectively. Conor has made it clear that he sees lots of room for improvement in the Activities system. While referencing sports more than other societies, he claimed he wants to strive towards creating a broader system of extra-curriculum activities that benefit current students more directly, while simultaneously creating a better name for Lancaster on the league tables that aren’t strictly academic.